HMD Global, the current manufacturer of Nokia handsets, has a reputation for releasing timely software upgrades to its smartphones. 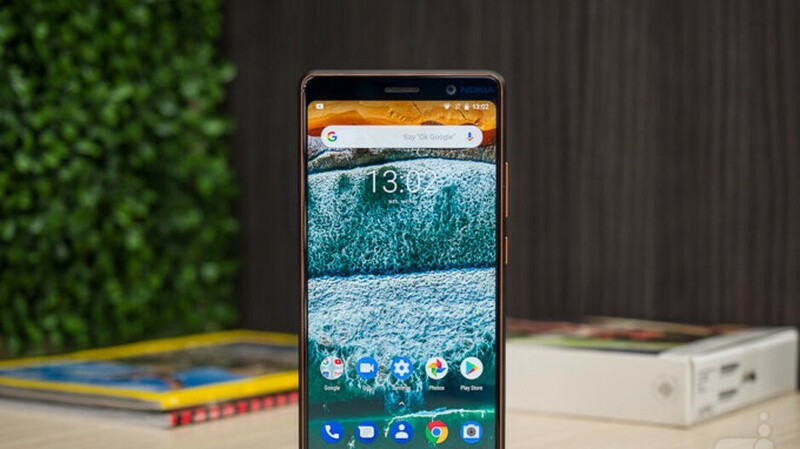 It looks like the company isn't planning on resting on its laurels, as it recently rolled out a new patch to its Nokia 7 Plus model. The update in question contains the Android Security patch for the month of October. It weighs in at 109.2 MB and, according to NPU, is currently being distributed to devices in India and Sri Lanka. Fixes to exposures found in the system, framework, and media framework are present here, including a mend for a critical vulnerability that could enable a proximate attacker to execute arbitrary code within the context of a privileged process. Users in other markets have yet to report about the appearance of the update, but it's likely that a broader rollout should commence soon. You can check for it manually by going to Settings > Other > Software Update. As always, make sure that your phone is sufficiently charged and connected to a Wi-Fi network before proceeding with the patch. Er October is about to end. That's a very late security update since those are supposed to be available at the BEGINNING of the month. https://androidenterprisepartners.withgoogle.com/devices/?_ga=2.230971997.379544437.1541006580-233513105.1541006579 The Nokia 7 Plus is an Android Enterprise Recommended Smartphone, and according to Google, it only needs security patches every 90 days. Same for all AER smartphones. So by those standards, it's actually early. Talk about moving the goalpost back. I don't care about AER. I care about having consistent "monthly" security updates. So by that standard, it's late. Lol, how is posting documented facts from Google themselves moving the goalpost back? What, you think that posting documented facts from the source only works when it suits your narrative? Sorry, but not sorry to say that it doesn’t work that way. So by Googles standard, a company which you’ve been championing lately, it’s early. Because I was referring to the fact that Nokia is supposed to be providing monthly security updates for their phones and this is for the October update that just got pushed out...at the END of October. So it's late, plain and simple. Nokia doesn't provide any updates to their branded smartphones, as they aren't involved with the software or hardware of their smartphones. That's a falsehood that you continue to perpetuate. Google themselves set the guidelines for their Android Enterprise Recommended smartphones, so going by that fact, they are early. You don't have to agree with the facts for them to be facts. Plain and simple.